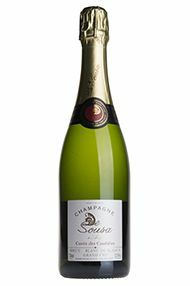 De Sousa Champagne is based in the Grand Cru village of Avize in the Côte Des Blancs. 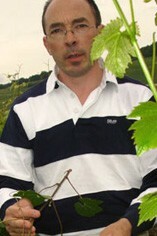 Vigneron and paterfamilias, Erick De Sousa is third generation Portuguese who practices biodynamic viticulture. De Sousa farms 9.2 hectares, mainly in the vicinity of Avize (there are old vine plots in Oger, Cramant and Chouilly for example) but also in the Montagne de Reims (Ay and Ambonnay mainly) and finally a small holding in the Vallée De La Marne (Mardeuil). The key features of this Champagne House are old-vine cultivation (the vineyards are ploughed by horse and the oldest vines date back to 1932), extensive lees ageing, full malolactic fermentation and the aging of reserve wines in wood. The De Sousa philosophy adheres to late ripening, allowing the vines to benefit from the mineral rich soils (potassium/magnesium) and to develop palate profiles that are both rich and pure, with most impressive length evidenced across the Champagne range.